Would you like to create an amazing cultivation event that will introduce new donors to your cause and bring current donors even closer? Join me to discover step-by-step how to get the most out of a donor cultivation event or party. How to get VIPs to your event? How to set up the event – timing, place, logistics? What type of program should you present? Do you make an ask at a cultivation event? How to follow up after your event. How to walk out of the party with new connections, information and moves on your prospects! This webinar was originally offered in June and July, 2016. Please access the recordings by clicking the links below. Gail gives you the energy to change lives through fundraising. Gail shared her personal success secrets! It was like having a one on one session with an advisor who wants the best for you and your organization! Gail shares tried and true practices that she herself has experienced or executed. She even has the guts to share the things that did not work and why she feels they do not work. It was interactive, energetic, good information and was something I would like to share with our development committee and through them with our board. Super informative, basic, easy and well-explained webinar about cultivation events – Gail’s energy explains just how easy and fun it is to host donor cultivation and stewardship events! 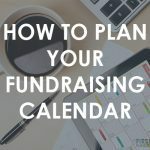 This webinar contains a wealth of valuable strategies and specific protocols for doing all kinds of donor cultivation events – well worth the time! A fantastic overview how to have a great party and keep people involved! 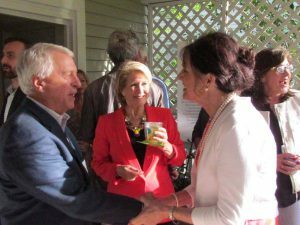 I can’t wait to throw a party with my prospects and donors and get to know them better. Subscribe to the INSIDERS – Support your fundraising success!